We are excited to announce our new Associate program which recognizes those that exhibit excellent leadership and have been key contributors to our company’s success. 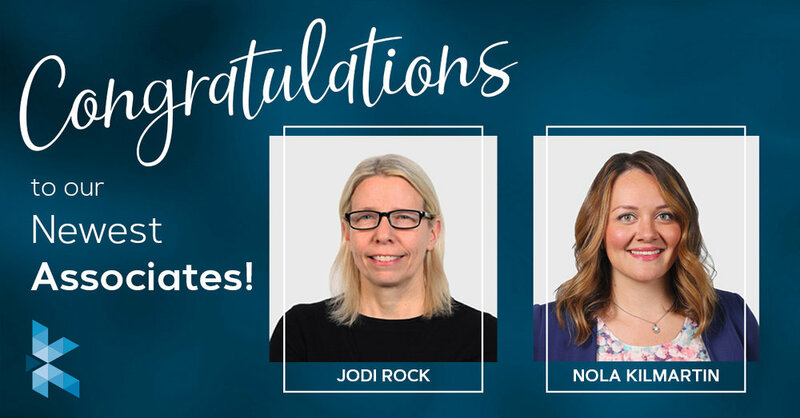 We would like to recognize Jodi Rock and Nola Kilmartin as our newest Associates for their exemplary dedication, insight, and enthusiasm. People are and will always be our greatest asset. Jodi and Nola, your abilities and contributions are important keys to the success of our entire operation. Take a moment to reflect upon your accomplishments and take pride in knowing that you are important members of our team. Thank you for all your commitment and making KENNEDY a better company.